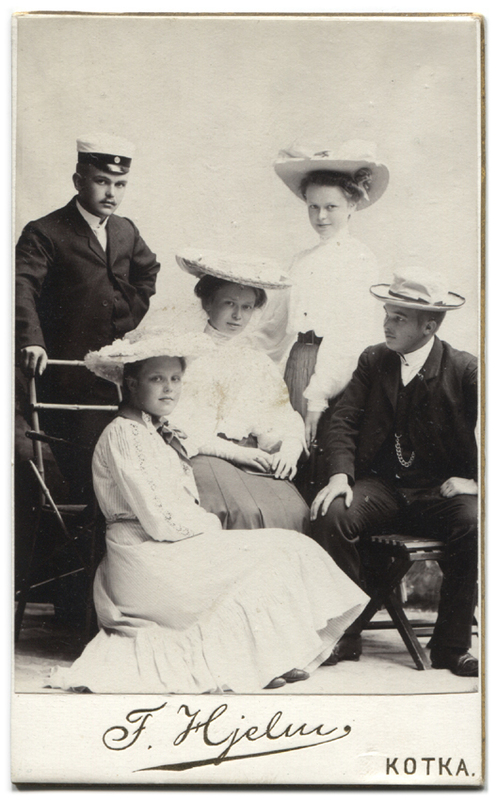 A photograph of a group of unidentified young people, three women and two men, all dressed in stylish fashion. The composition of this photo is very well thought of as well. I like how the smile of one of the young women (the one who’s standing) almost resembles a smirk, as if to underline the obvious: she and her four friends are young, well off and fashionable. This photograph has been taken by photographer Fanny Hjelm in Kotka, Finland, likely at some point during the 1910’s.